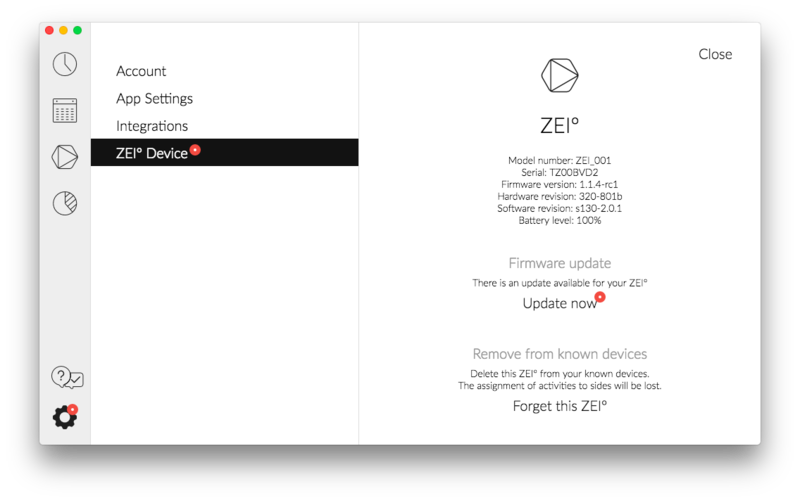 In this article, you'll find everything you need to know about our latest firmware update. Note: If you bought your Tracker after May 2018 your Tracker was already shipped with the new firmware installed - no need to update. You can check your firmware version in the details (ℹ︎) of your Tracker in the settings. If it shows version 1.2.1, you have the latest version. From now on, your Tracker will be always on without consuming more battery power. In the past, the Tracker used to turn itself off when being disconnected from the apps for more than 1 minute. You then had to manually turn it on again by pressing the black button. The Tracker will now only go into a sleep mode when being disconnected from the apps for more than 1 minute and it will automatically reconnect as soon as you start moving it. In Short: You no longer need to press the black button on your Tracker to reconnect it, the Tracker will do it automatically as soon as you start turning it. You should only turn off your Tracker by pressing the black button if you want to transport it. The update is already available on our desktop and mobile apps. 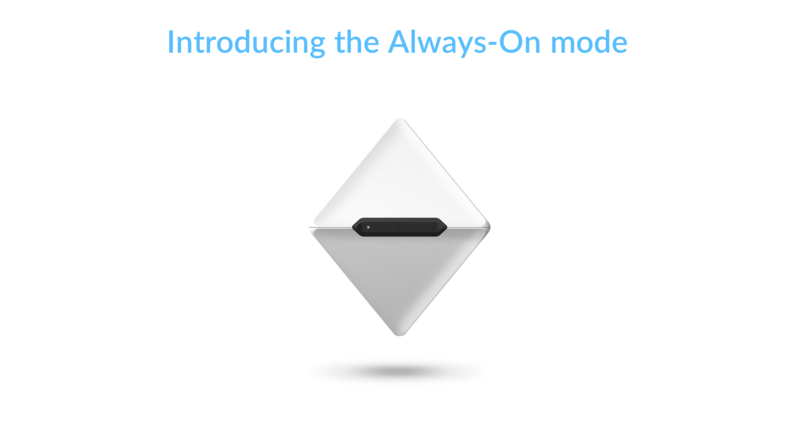 Learn more about the innovations in Timeular 1.6 here. Just open the software and follow the red dots that will guide you to the update. The app might ask you to insert a new battery before starting the firmware update in order to guarantee that it's not getting interrupted and therefore break your Tracker. The battery is a type CR2032, you can get it at most supermarkets. Important: Please pay attention to how the battery was positioned when you remove it and make sure you insert the new one in the same way. If you insert it the other way around, it might discharge. Read here on how to replace your battery. If you have questions about the update or need any help, don't hesitate to reach out via email or chat widget on the bottom right corner of this page - we're here to help!